Fat is bad for humans and it's just as bad for dogs. Carrying around excess pounds can lead to diabetes, heart problems, arthritis... the same problems in dogs as in humans. If fat dogs were human, they'd have huge tires around their bellies, but they're dogs, so they just get beefy all over. 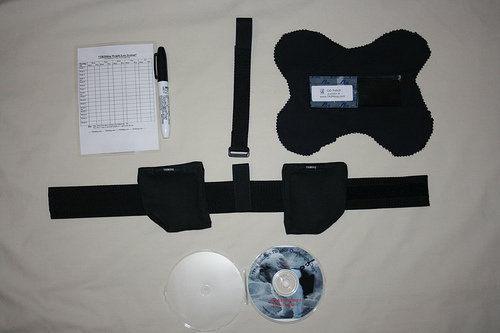 But an exercise physiologist and a dietitian, who happen to be married to each other, developed an exercise and diet plan for dogs, the centerpiece of which is the TrimDog Weight Belt. 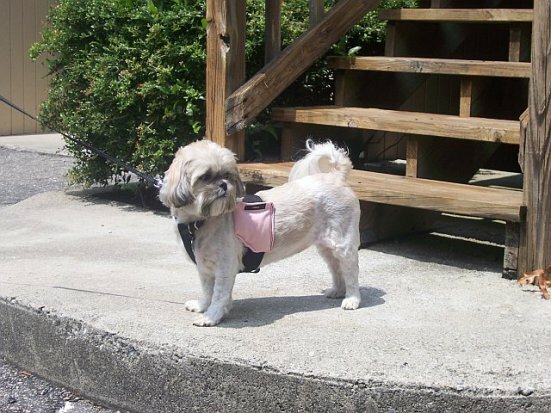 Here was Lily, the inspiration for the TrimDog Weight Loss System, dog of entrepreneurs Ike and Anna Kinlaw at 18.7 pounds. 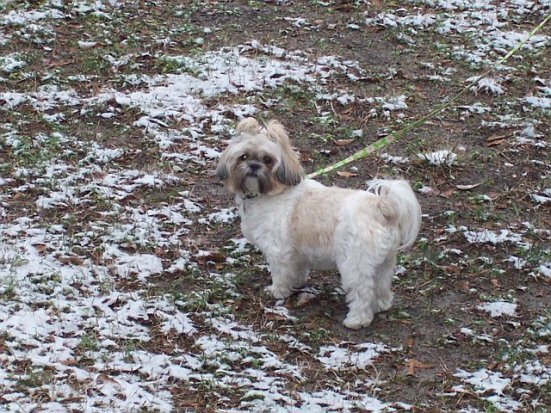 And here Lily is today, a trim 14.3 pounds, thanks to her TrimDog diet and exercise program. "Hey, fat boy! Get movin!" Update: Trimdog now has its system available through Amazon.